Debbie Wei Mullin is passionate about poverty alleviation. After visiting her relatives in Vietnam at 15 years of age she decided to dedicate her career to community empowerment and providing opportunities to those less fortunate. That passion led her to work for the World Bank where she felt she could make a lasting impact within one of the most powerful global institutions with a mission of poverty alleviation. Instead, it was a bureaucratic machine that made her feel ineffective and unempowered. Debbie bravely shunned her comfortable and lucrative career to pursue more effective projects. Initially she developed Wei Pantry, which provides a luxury oil and vinegar from Vietnam. 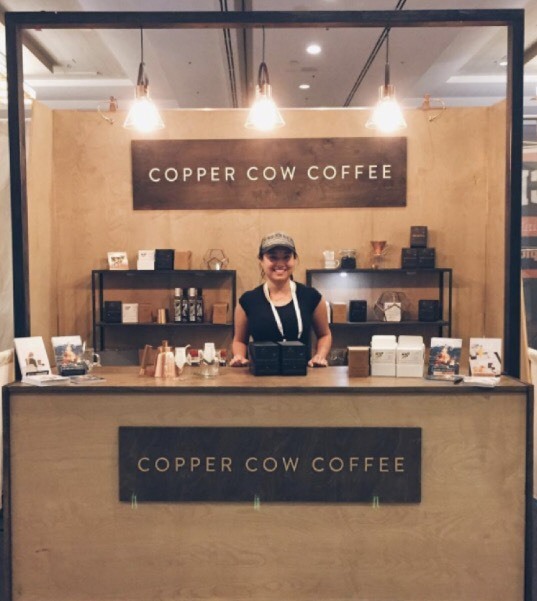 She has now developed Copper Cow Coffee, a portable Vietnamese pour-over coffee kit. Vietnamese Coffee, she believes is the gateway Coffee as it is so palatable. The quality of her products speak for themselves and their success is intrinsically linked to economic opportunities in rural parts of Vietnamese.